This one is perfection ! "I will tell you three stories. And when I'm done with my stories, will you tell me a fourth. I don't know any stories. You will tell me a fourth and it will be the truth." Before seeing the movie, I didn't know much about "A Monster Calls". The only information I got from it is that it's based on Patrick Ness novel and the trailer had a "Iron Giant" vibe to it. I also liked the director (Juan Antonio Bayona) previous movies, so I guess that's what peaked my interest in seeing it. And I came out pretty surprised of how good it was. Not just that, but how moving and heartfelt it was. No posts have been made on this movie yet. 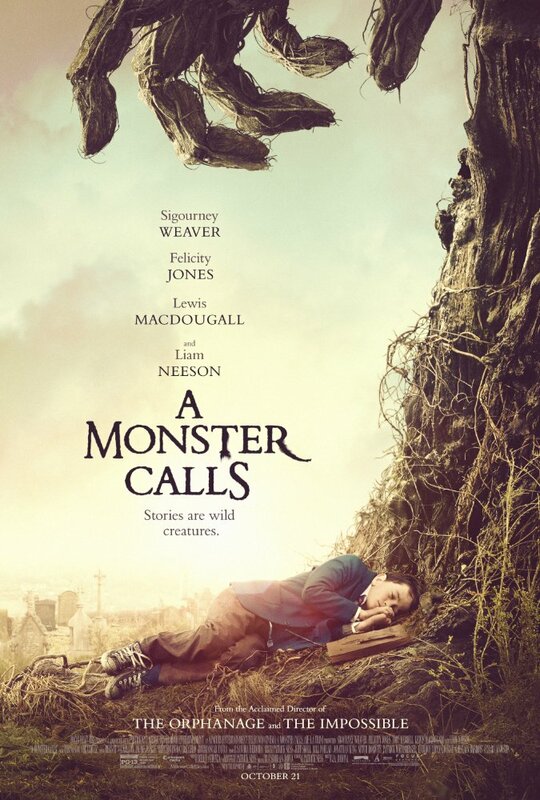 Be the first to start talking about A Monster Calls!